Well made, great pockets, feet on the bag, multiple ways to carry, but the inside doesnâ€™t hold much and when packed it is difficult to get things from the bottom without having to dig or remove the top items. It has a trolley handle sleeve which is nice. Also has a bottle carrier that holds the wider bottles. One of the biggest pluses is the changing pad. 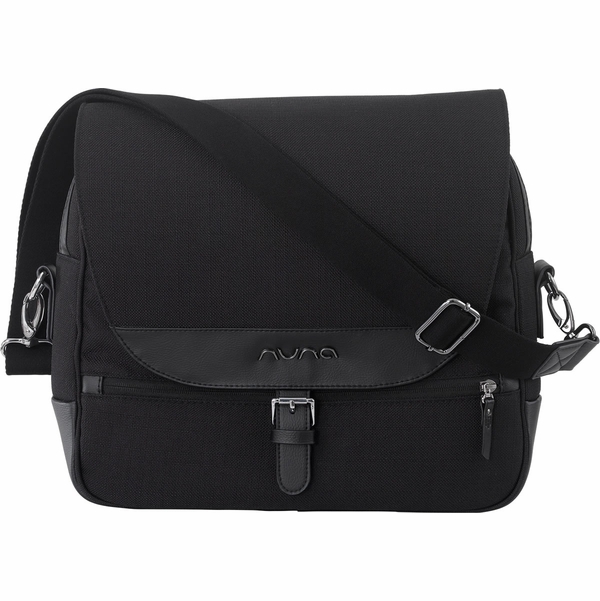 It is so well made and has zip off pockets for diapers and wipes. I have to shove it in the outside slippocket or thereâ€™s no room in the bag itself! The bag does stand on its own which is also a plus. Small front zip pocket is great for your key fob. 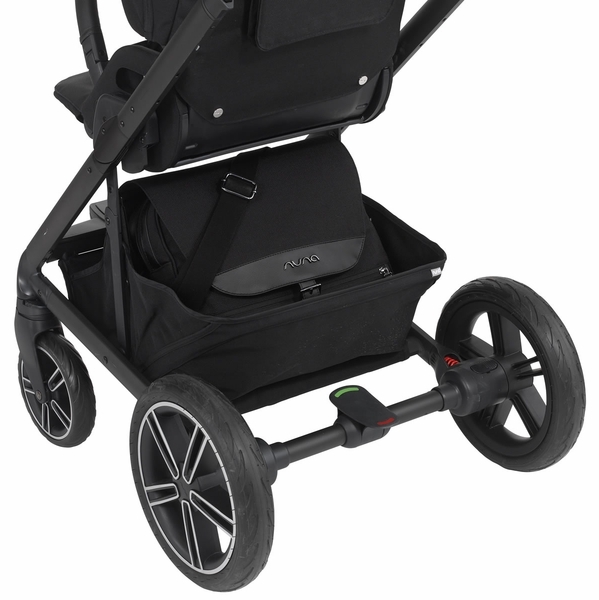 Definitely not meant for long trips or multiple children (unless itâ€™s two toddlers maybe?) Probably better for a nursing mum as that would free up space I the main compartment as well. Best UsesShort trips. 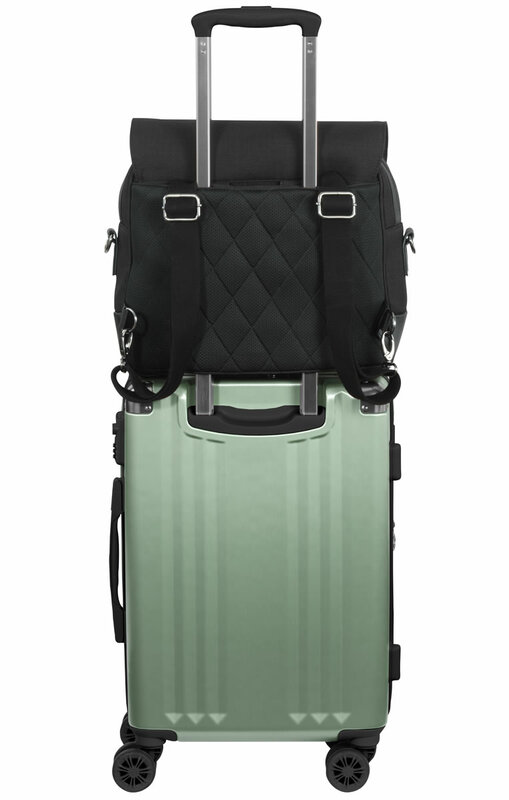 Plane rides (would fit easily under seat as long as your bag in the overhead could carry a few of your needs. Older children when you aren?t carrying as many diapers or toys. It has a lot of room, very nice bag. I love that it comes with a insulated bottle holder and a changing pad. 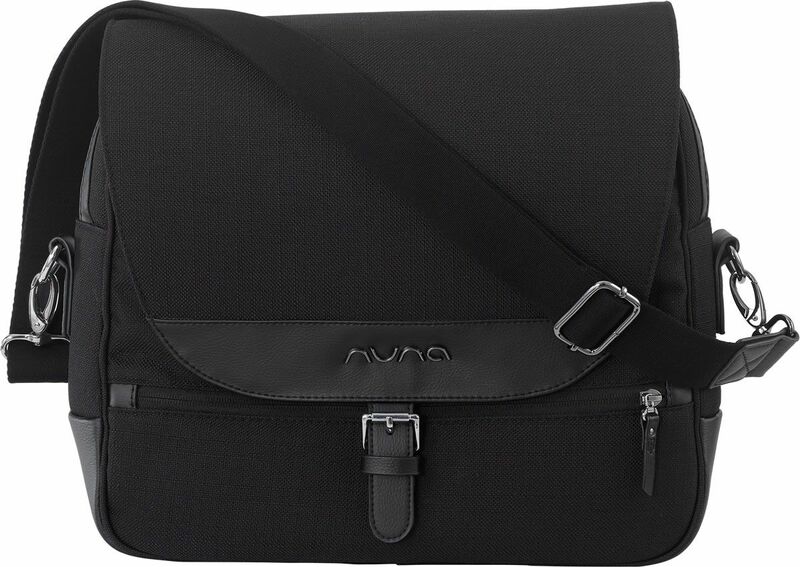 This is a very nice diaper bag. High quality material. It has many pockets and comportments for storage. The separate changing pad is large and has pockets for diapers and wipes. However, it takes up a lot of space in the bag. The bottle warmer doesn't keep milk warm. I love this diaper bag. 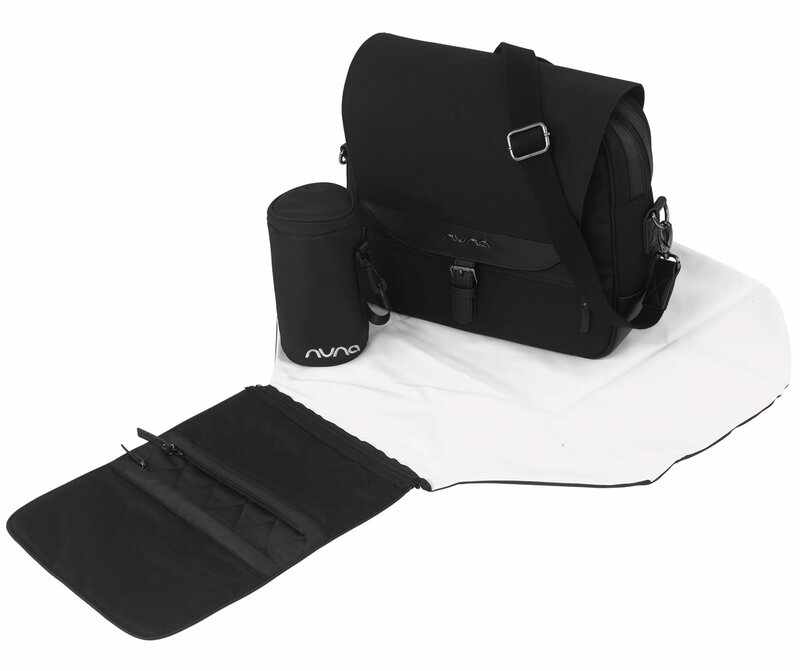 You can wear it as a messenger bag and backpack. It has a lot of little pockets in the inside that you can store things in. 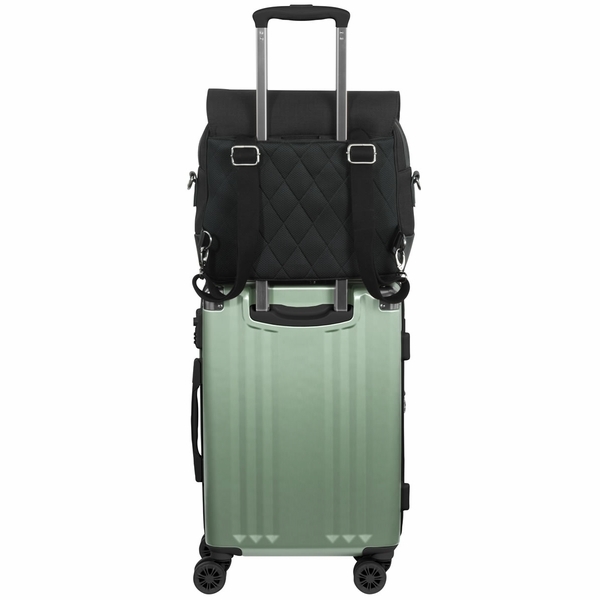 It is a good diaper bag for traveling because you can slide it on the handle of a rolling carry on. I definitely recommend this bag. ConsIt is a little narrow. What are the dimensions on this bag? 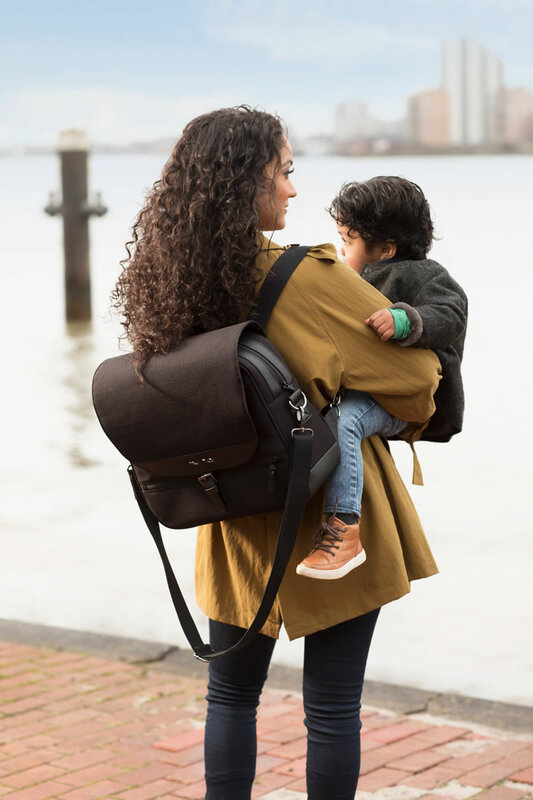 With three customizable ways to c arry, two included must-have accessories and one easy clean-up design, the Nuna diaper bag just "gets" it. What do you need? A diaper bag. What do you want? Something that won’t cramp you and your partner’s style. Something that can be styled any which way you need it in a moment’s notice. And something to carry it all. 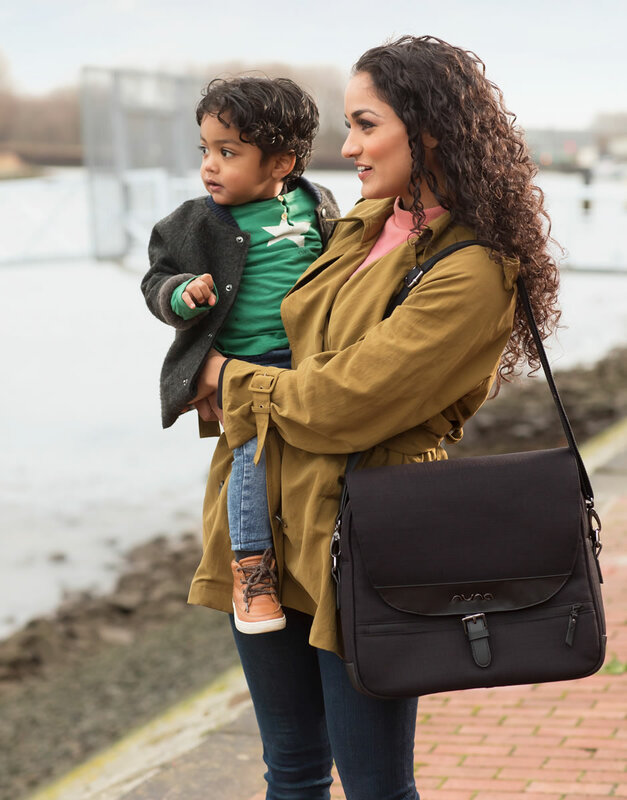 The Nuna diaper bag is designed to be discreet and sleek on the outside, and with every personal and parenting necessity on the inside. Sleek and stately design is perfect for both moms, dads, and lovers of all things organized. Wear as you’d like. Over the shoulder, cross-bodied or as a backpack. Leatherette carry handle. Tote in luxury. Integrated luggage sleeve fits over carry-on handle. Just slip on and go! Leatherette and gunmetal accents complete the polished look. Diaper bag includes an insulated bottle bag and a changing pad clutch. All that’s needed is your stuff. Included insulated bottle bag maintains bottle’s temperature. Convenient clip lets you keep it where you need it. Changing pad clutch unfolds for a super large, wipeable space to lay baby. Inside mesh pockets are perfect for stowing diapers and wipes. 7 elastic mesh pockets – place what you want where you need it and easily be able to find it. 2 elastic bottle straps – keeps drinks secured in place. 1 zippered, wipeable pocket – when things get messy, you can keep them separate from everything else. 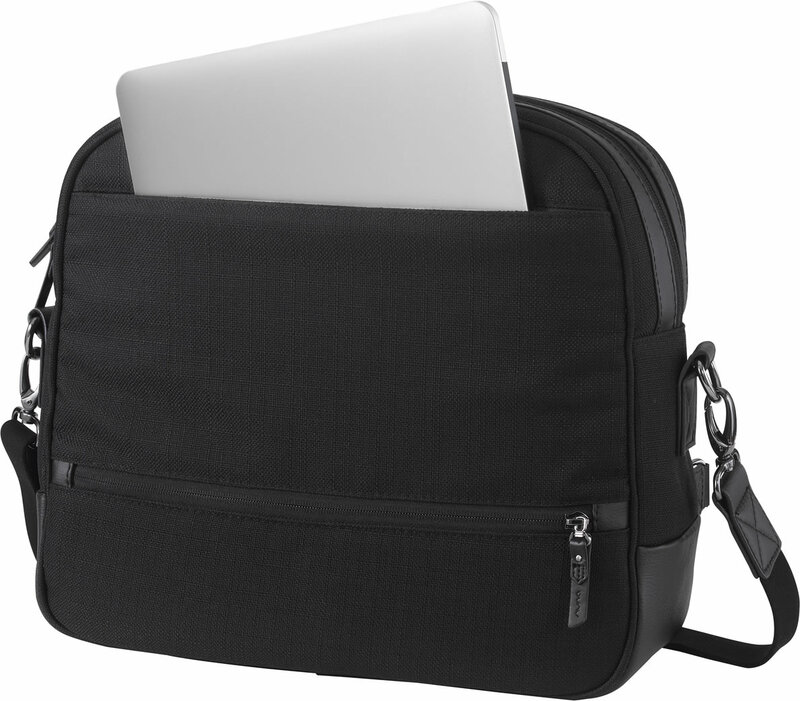 Cushioned pocket fits tablets and laptops up to 13”. Carry it all. Magnetic front flap closure and zipper top keeps items safe and secure. Quilted mesh back provides airflow. Wear comfortably no matter the season.